It is a very simple and easy to implement protocol, coming from the HTTP school of design; the server side may be hard to implement well, but it is very easy to write a client to get yourself connected. For example you can use Telnet to login to any STOMP broker and interact with it! 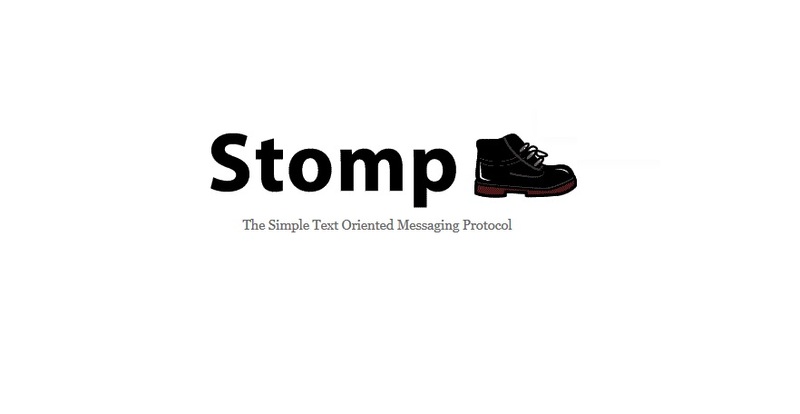 Many developers have told us that they have managed to write a STOMPclient in a couple of hours to in their particular language, runtime or platform into the STOMPnetwork. So if your favored language/runtime of choice does not offer a good enough Simple/Streaming Text Oriented Messaging Protocol client don’t be afraid to write one. Communication between client and server is through a “frame” consisting of a number of lines. The first line contains the command, followed by headers in the form <key>: <value> (one per line), followed by a blank line and then the body content, ending in a null character. Communication between server and client is through a MESSAGE, RECEIPT or ERROR frame with a similar format of headers and body content.